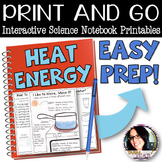 A quick, easy, and fun science experiment to teach the concept of heat energy. 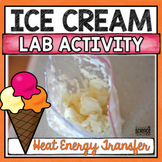 This would also make for a good back to school science experiment. 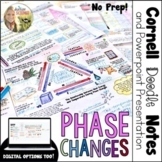 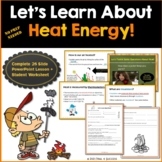 One student page is included and teacher directions. 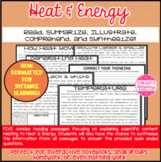 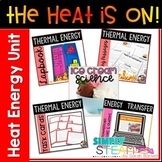 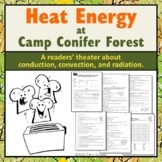 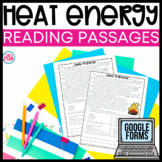 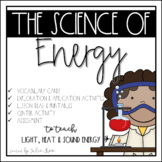 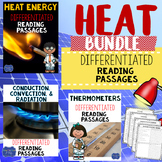 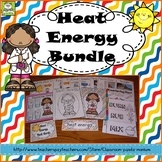 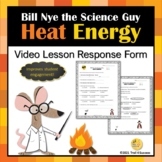 Heat Energy Task Cards - 40 Science Cards in AllThese heat energy task cards are a great way to touch the heat concepts covered by most states' science standards. 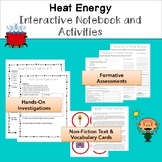 There are 40 heat energy task cards in all. 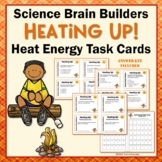 I have included a set of blank cards to allow you to create your own questions about heat. 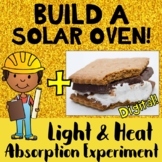 Light & Heat Energy Absorption Experiment Solar Oven STEM Activity for S'mores!